Magical Wish Unicorn and Mermaid Glittery Cupcake Toppers. Unicorn or Mermaid Party Cupcake Decor. *Subscribe to our e-mail at www.StarCityCo.com/subscribe to be the first to hear about new products, promotions, freebies + more! 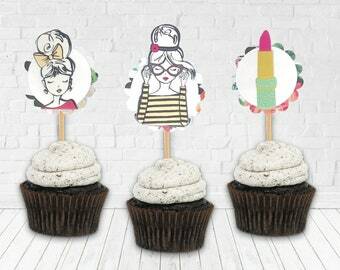 Fierce Fashion Girl Cupcake Toppers. Girly Party Cupcakes Decor. Birthday Girl. You are so Loved Cupcakes. Pinata party decorations. Cheers to you. Custom Age. Birthday decor. 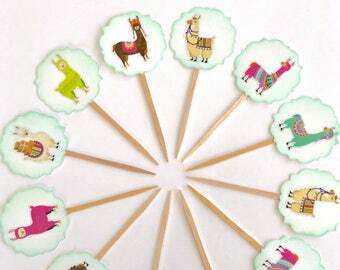 Pinata Cupcake Toppers. Mexican tradition. Olive you Valentine's cupcake toppers. Donuts. Arrows. Gold hearts. Besties. Forever. Lips. XO. Valentine party supplies. Love day. Boho Pastel Feathers Cupcake Toppers. Boho Birthday Party. Feather Cupcakes. Unicorn stud earrings. Rose Gold glitter earrings. Unicorn party. Lularoe accessory. Glitter jewelry. Best friend jewelry. Gifts for girls. Pink & purple glitter stud earrings. Glitter earrings. Glittery earrings. Party accessories. Gifts under 10. Gifts for girls. 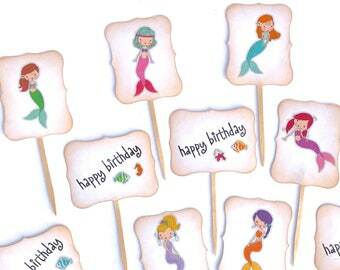 Mermaid cupcake toppers. Beach party. Mermaid birthday party supplies. Fish. Mermaid baby shower. Mermaid decor. Happy Birthday. Seahorse. Cactus stud earrings. 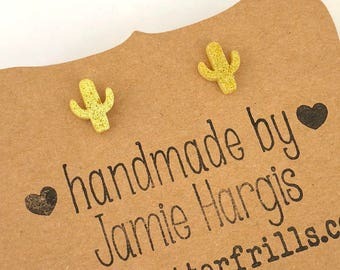 Yellow glitter earrings. Cactus party. Cactus decor. Glitter jewelry. Gifts for girls. Midwestern themed party. Backyard picnic cupcake toppers. Spring stickers. 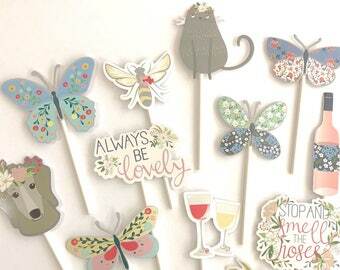 Butterfly supplies. Wine. Stop and smell the roses. Always be lovely. Bee. Bridal shower. Pink champagne stud earrings. Pink and gold earrings. Glittery earrings. Resin stud earrings. Party accessories. Gifts under 10. 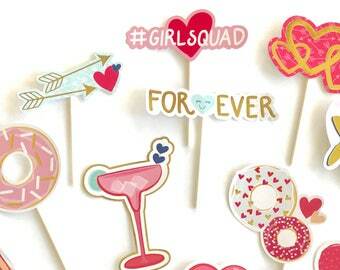 Girlsquad Valentine's cupcake toppers. Donuts. Arrows. Gold hearts. Besties. Forever. Lips. XO. Martini. Valentine party supplies. Love day. 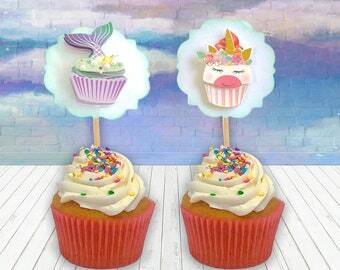 Kawaii food cupcake toppers. Donuts. Hearts. Valentine party supplies. Avocados. Egg. Taco. Hot Dog. Sushi. Bananas. Watermelon. Coffee. Baby shower centerpiece. Baby shower girl cupcake toppers. Girly clothes. Baby onesies. Baby shower decorations. Baby shower party supplies. Gold glitter diamonds. 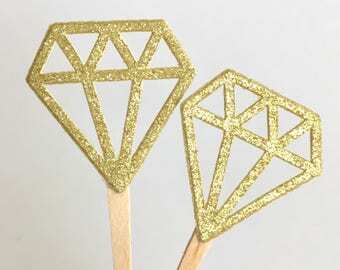 Diamond ring cupcake Toppers. Wedding decorations. Bridal shower decor. Wedding cake toppers. Something gold. Gold black and white striped glittery heart cupcake toppers. Love. Wedding decor. Valentine's Day. Anniversary cupcake picks. So cute, my daughter wanted a snail birthday and this is perfect for her. These are SUPER cute!!! I cannot wait to wear them! Pink Peony stud earrings. Flower earrings. Bridal party. Pink floral jewelry. Best friend jewelry. Gifts for girls. Gifts under 10. 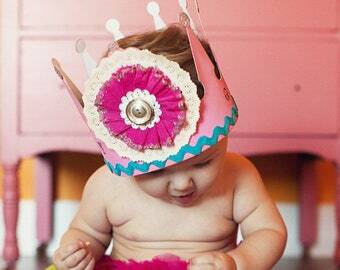 Boho baby shower, wedding or birthday party coming up? These’ll have ya covered!! Working on some new Bubblegum bead necklaces...bows & dollies, oh my!! Fashion girl. Kids jewelry. Teal. Pink. Gold. Bow. Princess. Gift for girls. Bubblegum bead necklace. Birthday party. One of a kind. Some shelves in my studio. A couple of Dream-catchers, ready to go to their new home! My desk and the supplies on it are ever changing. A glittery Valentines gift in the making. Making things has always been a part of my life, ever since I can remember...so when I heard about Etsy, I knew great things were to happen! I've always been an artsy girl & crafter, having a grand time making anything and everything under the sun (jewelry, knitted and crocheted scarves and such, sewn baby blankets, mixed media canvases and clay pieces, just to name a few). When my first child was born in 2000, I discovered scrapbooking! 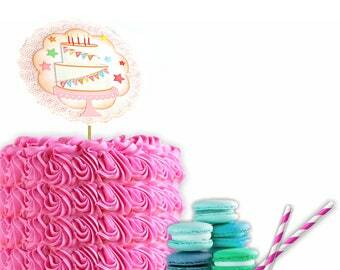 I fell in love with paper and embellishments, which over time has led to the making of party banners, cupcake toppers, mixed media crowns, cards, gift tags and many more whimsical paper items. I originally opened up another Etsy shop in 2007, where I mainly sold handmade scrapbooking supplies and cards. I learned the ropes of running an online shop very quickly, and decided I wanted to expand, by selling a wider variety of the items I loved to make. 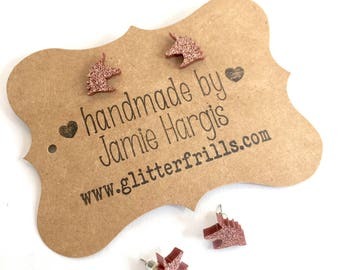 So, this shop, 'Glitter Frills' was born! I've experienced the working world and loved (almost ;) every minute of it, but at this point in my life, with four children, Etsy has been a blessing! I get to stay home to be with my girls, manage their busy schedules, AND have an outlet for myself, where I can make a little money. What's better than that!? I'm an artsy craftsy chick, wifey & mum to 4 great gals & 2 cute pups! I heart paper, fabric, glitter, beads, photography, playing around with Photoshop + illustrator, crossfit, volleyball, biking, decorating sugar cookies & making bath bombs! Hi, I'm Mums trusty ol' sidekick! I like spending time in the studio with her while she makes pretty things for you :) My favorite activities are painting, play-doh, using stickers & tape. Sometimes she finds me under her desk working on workbooks. Hewo, the names Boots! I like to think I'm her trusty sidekick, but she doesn't let me come near the things she makes, so I help 'approve' her designs from afar before they are listed in the shop. Welcome to my handmade shop & thanks for stopping by! https://StarCityCharms.etsy.com where I make and design bright & funky jewelry for really awesome people! We accept Visa, Mastercard, American Express, Discover, Paypal and Etsy Gift Cards. Etsy keeps your payment information secure so we will never see your credit card information. I ship USPS First Class & Priority. Tracking is included in the shipping price and I will send an e-mail to you with that information once your item/s are shipped. The time I need to prepare an order for shipping varies, but is usually between one and five business days. For details, see individual items. If you need your item sooner, please purchase my Priority upgrade/Rush order listing. Actual delivery time will depend on the shipping method you choose. *Virginia residents - 6% sales tax will automatically be added to your order. All paper goods will come in a clear, sealed cello bag. 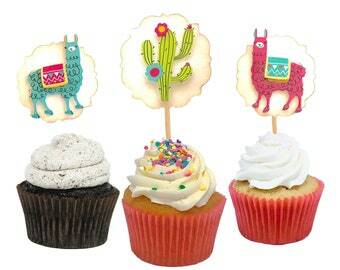 *Note: I now make my cupcake toppers with FLAT wooden picks. 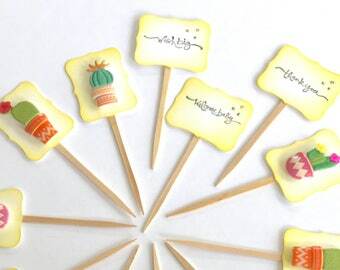 If you purchase a set of cupcake toppers that shows a regular toothpick, it may arrive with flat picks instead. If you purchase a set (like the pinwheels) with the white lollipop stick, then you will still receive the white lollipop stick.